MetalRockNews: Motorhead's Lemmy Kilmister about band's former drummer Phil Taylor: "Why take somebody like him and leave George Bush alive?" Motorhead's Lemmy Kilmister about band's former drummer Phil Taylor: "Why take somebody like him and leave George Bush alive?" Motorhead's Lemmy Kilmister talked with Classic Rock about band's former drummer, Phil "Philthy Animal" Taylor, passed away on November 11. 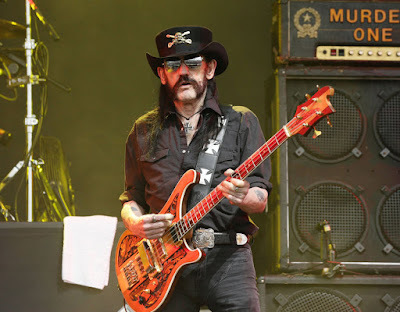 Lemmy said: "I’m feeling very sad at the moment, in fact devastated because one of my best friends died yesterday. I miss him already. His name was Phil Taylor, or Philthy Animal, and he was our drummer twice in our career. Now he’s died and it really pisses me off that they take somebody like him and leave George Bush alive. So muse on that. We’re still going, we’re still going strong, it’s just first Wurzel and now Filthy, it’s a shame man. I think this rock’n’roll business might be bad for the human life."